Can I Import Wood From Another Country Into Canada? Do Wooden Pallets Used For Shipping Fall Under These Wood Import Regulations? Can I Import Wooden Furniture Into Canada? When you import non-timber forest products, primary wood products, pulp and paper products, as well as wood-fabricated materials into Canada, you must know what government parties are involved, what regulations must be followed, and the fundamental aspects of wood imports. Articles without bark and made of processed wood materials (material subjected to conditions such as heat, glue, pressure or any combination thereof) are approved entry by the CFIA without additional documents. Articles without bark and made of unprocessed wood materials will require a phytosanitary certificate. Wooden articles that are greater than 1.5 cm thick or containing bark, depending on the origin, could require a Plant Protection Import Permit (issued by CFIA), a Phytosanitary Certificate (certified by the National Plant Protection Organization (NPPO) of the exporting country), or a Phytosanitary Certificate for Re-export (certified by USDA). Other wooden furniture classified under 9403.60, regardless of thickness, made with unprocessed wood, depending on the origin, could require a Plant Protection Import Permit (issued by CFIA), a Phytosanitary Certificate (certified by the National Plant Protection Organization (NPPO) of the exporting country), or a Phytosanitary Certificate for Re-export (certified by USDA). Certain species may be listed as endangered under CITES and therefore CITES Certificates may be required. The rate of duty is determined by the tariff of the commodity being imported, the value of the goods and, the origin of the goods. Are you looking to start importing wood products into Canada? Fill out the form below and a member of our Client Services team will contact you to get started. Can I Import Wood And Articles Made Of Wood Or Containing Wood From Another Country Into Canada? Every item made of wood or containing wood, including decorative and household items, musical instruments, and wooden pieces used for further processing, must meet Canadian import requirements. Is the product made with “processed” or “unprocessed” wood materials? 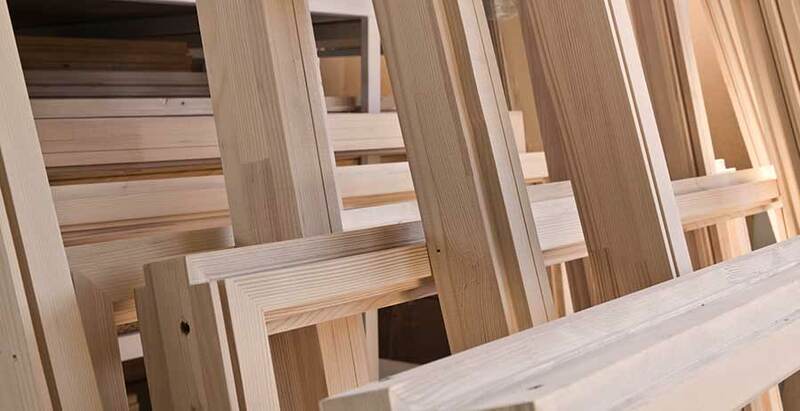 Knowing the answers to these questions will help you determine if the wood product is admissible or not, and if so, what requirements must be met. Less than 1.5 cm thick and not containing bark: Items that match this description will most likely be approved for import with no additional document requirements. Phytosanitary Certificate for Re-export – certified by USDA if shipping from the U.S.
Do Wooden Shipping Pallets Fall Under Wood Import Regulations? Yes, wooden pallets used for shipping are regulated and must meet the import requirements. In most cases, pallets must be heat treated and meet ISPM 15 standards. If a wood pallet is inspected and found to contain pests, the entire shipment will likely need to be exported or destroyed. The phytosanitary certificate must be obtained from the National Plant Protection Organization of the exporting country prior to import and must accompany the shipment.